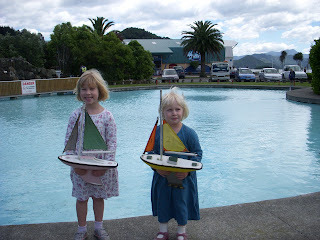 Keeps Me Smiling: Toy Boats! Cheers to Delicious Baby's Photo Friday for sparking memories of our recent trip to New Zealand. 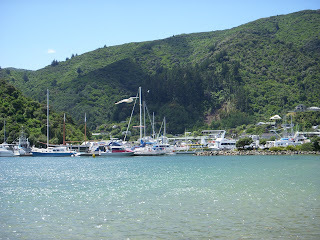 Here we are in Picton, the south island destination for the ferry crossing over to Wellington on the north island. Like every great New Zealand town, there was a fun playground to pass the time. This one was special because of the boat pond, which the girls delighted in for the morning. How cool! My son would be in heaven! 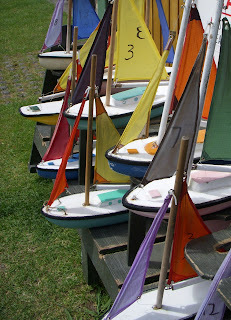 So many boats to choose from, so little time! That photo has great colors. Your girls look ready to enjoy them, they're adorable. Wow, I wish I had boats and a pond like this to play at when I was young.